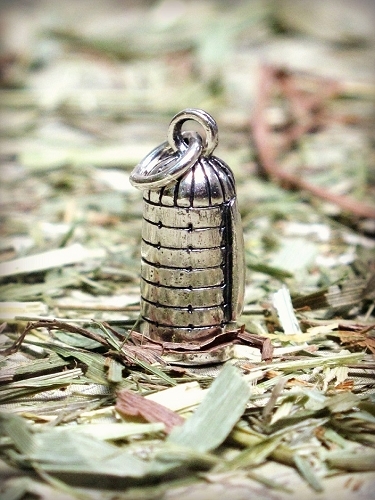 This sterling silver upright silo charm represents that instantly recognizable symbol that you're in farm country. It is created by a wax model carving and reproduced in precious metals in small production runs all by hand. The surface is oxidized to highlight detail and finished with a mirror polish. Size is 5/8" tall by 1/4" wide and is suitable for a charm bracelet or a necklace. Jump ring included. This silo has so much detail - it is really a nice piece of jewelry to add to your charm bracelet or wear alone as a necklace - Bought for my daughter and she loves it.